Air ducts are necessary to properly heat and cool your home. These ducts carry the heated or cooled air throughout your home to the vents in each room. They will also carry contaminants such as cooking and dryer fumes out of your home and into the air outdoors. These contaminants may make it harder to breathe for people who suffer from asthma or allergies. Most people do not think about their air ducts much because they are placed inside walls and under floors so that they are not seen. Even though these ducts are not seen, it is important to think about the condition of your ducts. If these ducts are leaking, your home will not heat or cool properly and the quality of air indoors may suffer. By having your ducts inspected and sealed properly, these problems can be avoided. At Larry & Sons we can take care of your duct sealing in cities such as Hagerstown, Frederick, MD, and the surrounding areas. Duct leaks are caused by a couple of different possible problems. Some ducts are just old and start to fall apart. Ducts are not made to last indefinitely and will need to eventually be replaced. Ducts are also subjected to extreme hot or cold temperatures at different times of the year. These extreme temperatures will cause the ducts to eventually deteriorate and need replacement. Some ducts may also have been installed improperly. This will cause them to not last as long or not work efficiently enough. You will know that there may be a problem with your ducts if your home is not heating or cooling properly or your energy bills are extremely high. Rodents can also cause damage to your ductwork. There are many reasons why you should consider having your ducts sealed. Your air conditioning system will work more efficiently if you do, and this will contribute to being able to heat and cool your home properly and will lower you overall energy bills. Having your ducts sealed may also improve your overall air quality indoors. Duct sealing will help eliminate contaminants from leaking in the air. This may help you or other members in your household breathe easier if you suffer from conditions such as asthma or allergies. If you are in need of duct sealing services, we can help. Larry & Sons has been offering duct sealing services for many years throughout Hagerstown, Frederick, MD, and the surrounding areas. Our technicians are highly trained and we have the most state–of–the–art equipment available. 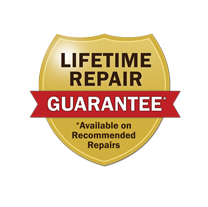 This will ensure that your ducts are sealed correctly in a timely manner. If you have any questions or would like to schedule a consultation, please give us a call and we will be happy to help you.